Chapter 1 is available for free, then the subsequent 10 are $1.99 each. I pre-ordered chapter 1 to download to my Kindle app because, to be honest, I am SO EXCITED ABOUT THIS IDEA. I don't make the time and I don't have the patience to sit down and read through a whole book, but 40 page sections released once a week? And then we can talk about it online? A+. So great. Bring it on. Serializing a novel is also an excellent idea because it can encourage you to read genres you would normally avoid. 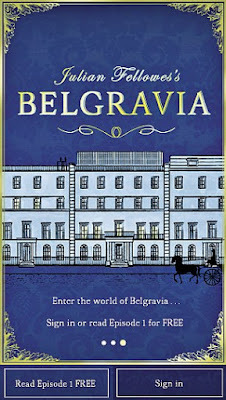 If I see a 350 page historical novel, I go "mmmmmm is my time really well-spent reading that?" But if it's like "oh, look at this tiny amount of reading. I can give that to any genre." I was going to have an "except" here, but I went through this list of writing genres and I honestly think I could give 40 pages of reading to any of them. Such a manageable size! So what happens in the first chapter. I was hooked into this whole idea in the first place because I watched a video on Twitter where Julian Fellowes explain exactly that. So there's a ball, which is a real ball that happened, and is apparently "the most famous ball in history," which I won't contest, because while I'd never heard of it, I also can't bring any OTHERS to mind. 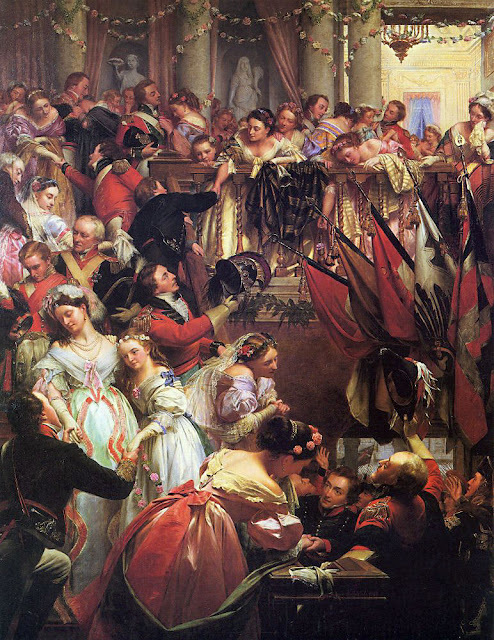 This is the Duchess of Richmond's ball in Brussels on June 15, 1815. Almost all of the high-ranking officers in the Duke of Wellington's army were there, cavorting with the English nobility that had moved to Brussels in a show of support for Wellington, and in the middle of the ball, the army was given notice that Napoleon was invading and they had to march out at 3 AM, some of them going to fight still in their dress uniforms. 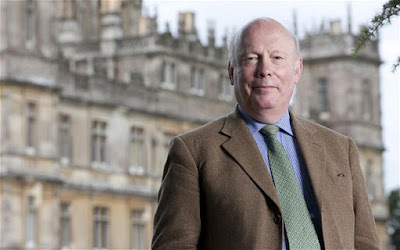 According to Fellowes, some scandalous thing happens at the ball, and two families know about it, one obviously being from the rising middle class, and one from the aristocracy. CUT TO APPX 25 YEARS LATER and we are in 1840s London with the scandal presumably about to come out. Oh how exciting. Chapter 1 ends immediately after Waterloo, so I assume right before we jump forward. I AM SO PSYCHED.